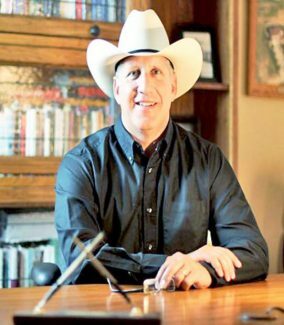 Tom Brink, Brighton, Colorado, has been named CEO of the Red Angus Association of America. President Kim Ford made the announcement today at the Association headquarters in Denton. She noted the extensive selection process, the approval of the Board of Directors and is looking forward to the future of the breed and the organization. "This is an invigorating time for the Red Angus breed. Tom brings incredible industry knowledge and experience to our organization, and he also possesses the skills and character, along with innovative and synergistic thinking to propel our breed into a new era," said Ford. Brink brings a wealth of beef industry experience to the RAAA, previously serving several top organizations including Cattle-Fax, American Gelbvieh Association, J & F Oklahoma Holdings, Inc., (JBS Five Rivers Feeding, LLC) and most recently as the founder and president of Top Dollar Angus. "I am looking forward to the opportunity and the challenge to bring the Red Angus breed to the forefront of the beef industry in this country and beyond," said Brink. "Red Angus and Red Angus-influenced cattle have much to offer ranchers and cattle feeders in terms of profit-driven traits which result in high-quality, nutritious and wholesome beef for today's demanding consumer." The Red Angus breed has the genetics to successfully contribute and excel in all segments of the beef industry, from cow-calf and stocker operations to feedlot and finishing phases of the business. Brink holds three degrees from Kansas State University; a Bachelor's of animal sciences and industry (1983) and Master's of Science in animal science and industries (1985), and a Master's in agricultural economics (1987). He and his wife Mindy have four grown children; Erin (26), Austin (24), and twins Dylan and Coltin (20). Brink will begin in his role mid-January.